Oxford TEFL > Blog > accreditation > David: Where are you now? David: Where are you now? It’s time to catch up with another one of our graduates – this time one of our Trinity DipTESOL graduates. 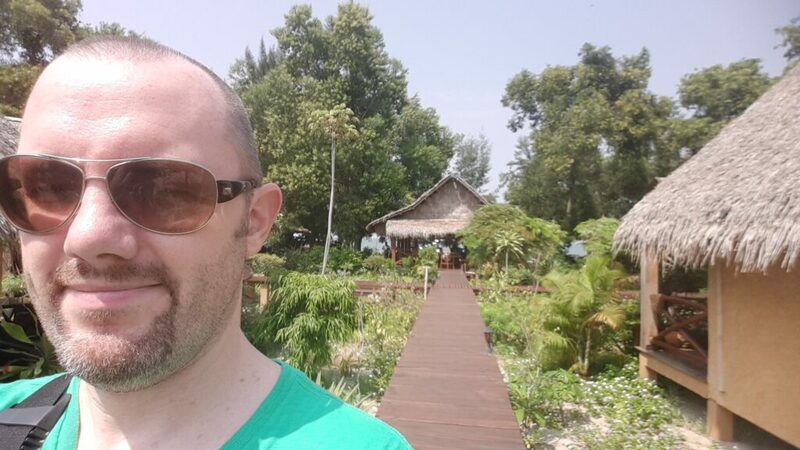 We got in touch with David, now ICT Coordinator at the British Council in Bahrain to find out more about his pathway and reflections on the Trinity DipTESOL course. When did you take your Trinity DipTESOL? February 2015 – January 2016. 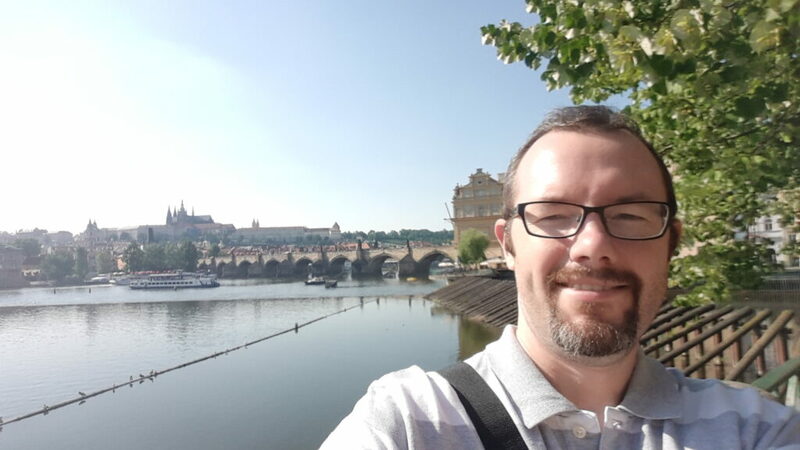 The online course ran from February to July, I did the teaching practice in Prague in July along with the phonology interview and the exam in August and then worked on the Unit 2 project when I returned to work in September. 2. What was the most challenging thing about the Trinity DipTESOL? Which area of your teaching did you develop the most during the course? Integrating pronunciation into my lessons. I would not say I am a pronunciation expert now or a fully-fledged convert to the works of Underhill and Kelly. However, I do now see that pronunciation needs a concerted focus and should not be tacked on to a lesson as an afterthought or done once every so often as a one-off lesson. Little and often and targeting difficulties with the spoken language that you notice your students having is the best way to go. It works wonders not only on the students’ speaking skills but on their listening comprehension and overall confidence as well. I have just taken up a new position as ICT Coordinator at the British Council in Bahrain, a position I wouldn’t have been eligible for without the DipTESOL. The job was the main attraction. I also have an MA in EdTech and TESOL and effective use of technology in the language learning process has long been an interest of mine. This job offers the chance to develop in that area while also helping other teachers critically assess how they use technology in class. I had also never been to the Gulf region before so this offered an interesting opportunity for a new role in a new part of the world. As I mentioned above, I have now joined the British Council. The centre in Bahrain caters mainly to young learners (primary to secondary) but also has adult classes and IELTS courses as well. As ICT Coordinator, I teach for 16 hours a week (eight under the standard full-time teacher workload) and spend the rest of time providing support to my colleagues for their use of technology in the classrooms. I also work on some larger scale projects such as providing training on the effective use of tablets in language learning ahead of the arrival of sets of iPads later this year. What is your normal day to day like in this position? Depending on the day, I have between two and six hours of classes. Apart from preparing my own lessons, I work under my own initiative on long-term projects such as the iPads mentioned above and raising awareness on copyright issues when using digital materials in class or online. As a coordinator, I also get called into management meetings and I am involved in recruiting new staff, both of which are new experiences for me. I am also a line manager for a team of teachers so I set time aside to assist them with planning and any other help they may need. Although my job description doesn’t cover technical issues, teachers see me as their first port of call when their internet connection in class isn’t working or the projector bulb has gone so I also liaise between the teaching staff and IT department a lot. It all makes for a busy day! How did the Diploma help you to secure this job? For this level of responsibility, the Dip or equivalent was a required qualification. Beyond that, having very recently completed the course, it certainly helped me to present myself as someone who was up-to-date with current thinking and trends in the world of ELT and also provided me with recent examples of successes and challenges I have had in and out of the classroom. What are your students and colleagues like? I am only just getting to know having been in the role for only a month! The students differ from the previous countries I have worked in (Spain, Turkey and Gabon) as they are very quiet and the first few lessons need to be spent on building rapport and fostering a good class atmosphere to encourage them to open up. This is especially an issue with the teenage students as many of them go to separate boys and girls schools so being in a mixed class is initially awkward for them. With the writing system of Arabic being completely different (this is the first time I have worked with people who are not already familiar with the latin alphabet), the real beginners are really real beginners and need a lot of time, support and patience to make just a little progress. My colleagues have been easy to get along with so far. Although the majority of the teaching staff are British, there are other nationalities represented as well including a number of non-native speakers. This is without a doubt a positive aspect of working here as it sends out a strong message that quality teaching is more important than the teacher2s country of origin or mother tongue. Good but not great! The Diploma helped me move up a couple of bands on the pay scale, however. There is also a generous allowance for accommodation, annual flights to the UK, and comprehensive health insurance. Where is home now? I’ve spent the last sixteen years teaching in different countries and haven’t spent more than 4 weeks in the UK in one visit in all that time. I miss my family and friends of course but I also miss my friends from other parts of the world I have lived in. I miss a hot serving of fish n’ chips and a pint of finest ale but I also miss kebabs and ayran from Turkey and fresh coconuts at the beach in Gabon. My weekend here is Thursday and Friday. My kids are in school on Thursdays, however, so that offers a chance to do grocery shopping and go out for a coffee with my wife.We also enjoy exploring and there is plenty of that to do here as we get to know a new city and country. Friday daytime usually passes in a park or at the swimming pool and Friday evening inevitably contains some planning for Saturday morning… I also write. I was blogging about my teaching experiences before I started the Dip (see here) but the reflections the online course and my research prompted led to me writing several articles that have been published in magazines like ETp, Modern English Teacher, and IATEFL SIG newsletters. The teacher in me is always busy, even at the weekend! The Trinity DipTESOL is a level 7 qualification in TESOL. If you would like to advance your teaching career and take the Trinity DipTESOL course, apply for the course here or get in touch for more information. This entry was posted in accreditation, Careers, Diploma, Graduate Stories, News, Prague, TEFL, TESOL by Fran Austin. Bookmark the permalink.